Hypersensitivity pneumonitis is one possible consequence of exposure to mold in the home. As you probably know, exposure to mold can lead to all sorts of health problems, especially respiratory problems. You can read about other mold-related health problems, but in this article we’re going to tell you about this condition, which can lead to permanent damage to the lungs if it’s not recognized and dealt with in a timely manner. People may mistakenly think they’ve got the flu or some other respiratory infection. However, unlike a common cold or the flu, this condition will improve when you’re away from the source of the mold or other allergen. For instance, if there is mold in your home, you may feel better after being away at work or school all day. When you return home, you’ll start feeling ill again. Unfortunately, long-term exposure to mold in the home can lead to long-term or chronic health problems. In that case, you may begin to experience some symptoms all the time, such as shortness of breath, especially when you are active, as well as coughing and chronic fatigue. If you’re experiencing some of the symptoms described above, see your doctor. If this is the condition you’re experiencing, it’s important to get an accurate diagnosis as soon as possible and to get the proper treatment in order to prevent serious damage to your lungs. Your doctor will probably order some tests in order to get an accurate diagnosis. Tests might include a chest x-ray, a CT scan, blood tests, lung function tests, a bronchoscopy (a test in which a small camera is passed down your throat and into your lungs while you are sedated), or even a lung biopsy in very severe cases. Don’t be afraid to see your doctor because some of these tests sound a bit scary. Chances are you won’t need all of them and your doctor can explain his recommendations to you and answer any questions that you have. Be sure to let your doctor know about any known exposure to mold or other allergens, as this information can help him or her in making a diagnosis. 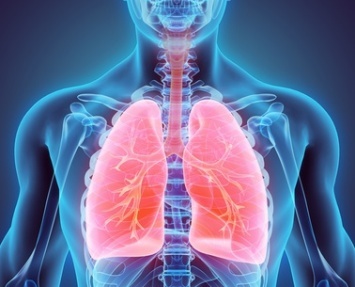 How is Hypersensitivity Pneumonitis Treated? According to the American Lung Association, the most important thing you can do to treat this condition is to avoid exposure to the allergen causing the inflammation in the lungs. If the allergen in question is household mold, you’ll need to arrange to have the mold removed from your home as soon as possible. The condition is reversible if you take steps to protect yourself from further exposure to mold, but if you continue to be exposed, scarring can develop in your lungs and you can suffer permanent damage to your health. If your condition is severe, your doctor may also recommend a course of corticosteroids, such as prednisone. You may need to take that medication for three months or more, which will likely help your symptoms but won’t cure the condition. In addition, long-term use of corticosteroids can have numerous unwanted side effects, some of which can be rather serious, such as weight gain, cataracts, demineralization of the bones (leading to osteoporosis), and abnormal blood glucose levels. 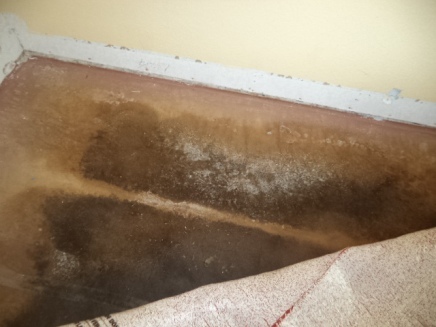 If exposure to mold at home is determined to be the cause of your condition, you’ll need to arrange to have the mold removed in order to recover and prevent permanent lung damage. If you’re experiencing mold-related health problems, your doctor will probably recommend you arrange for someone else to handle the mold removal rather than doing the work yourself because the mold removal process would further expose you to the mold spores that are causing your illness. Even if you don’t want to hire someone for the job, we recommend scheduling a free in-home inspection and consultation with a mold removal professional because you can benefit from some free expert advice about the work that needs to be done in your home. Follow this link to get a list of experienced mold removal professionals offering free consultations in your area.